The Church is rich in traditions. Passing on traditions is a way of passing on the faith. Although the Church is thousands of years old, there are many beloved hymns and songs that are only hundreds of years old or even just decades old. Regardless, these are referred to as “traditional” church music. They may be uplifting to many, especially when sung by a talented choir and accompanied by a grand pipe organ. Despite the intentions of parents and grandparents to pass on this traditional music, it is likely to not be uplifting to youth. Not all of the time, but probably most of the time. It is not the words or the melody of the hymn, but the organ, big choir sound, and especially the arrangement or tempo. 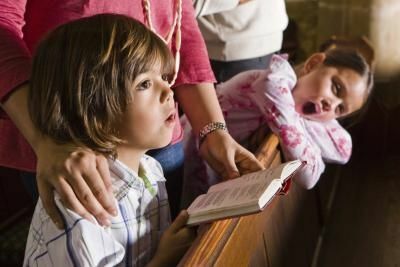 There are ways to adapt “traditional” hymns to make them uplifting and inspirational to youth. Click this link and listen to a beautiful and fun variation of Salve Regina (A Litany to Mary) arranged by Mark Friedman and Janet Vogt. This was a favorite of our Kids Worship Team. By adding tempo and a fun arrangement, the kids in our group learned the Salve Regina in English and Latin. Craig composed a mass setting specifically for our Kids Worship Team. We felt it was important that all sung parts of the Mass have music arranged for our young choir members’ ability and interests. The recordings below are from an early rehearsal. As the school year progressed, these easy-to-learn and appealing melodies were sung by the whole student body.